**Important: **Starting around December 15 2017, older versions of the tool may stop working and will report an issue with the relay configuration. Please update accordingly. 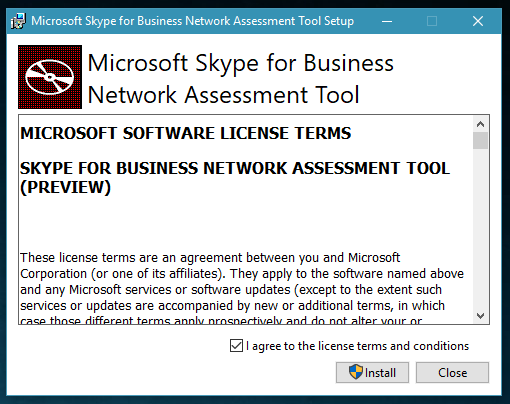 Supported Operating System: Windows 7 or later PC must meet the requirements for Skype for Business Online systems described here. For Windows Server edition, ensure the Desktop Experience feature is enabled. 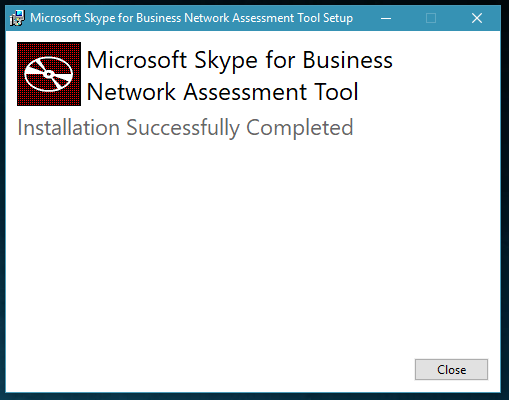 For Windows N or KN versions, ensure the Media Feature pack is installed. Only a single instance of the tool running on PC instance. This tool is not intended for load/stress testing. 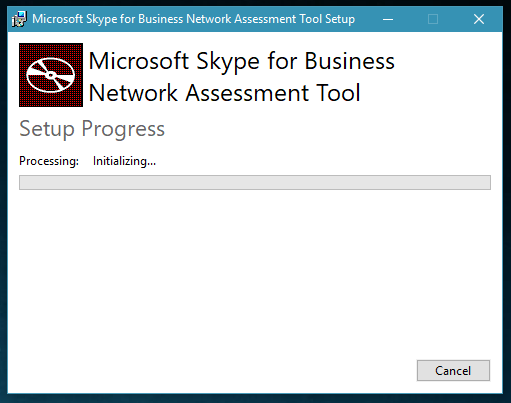 The tool in installed in the “C:\Program Files\Microsoft Skype for Business Network Assessment Tool” directory. In the Usage.docx you can find more specific parameters to run the tool. 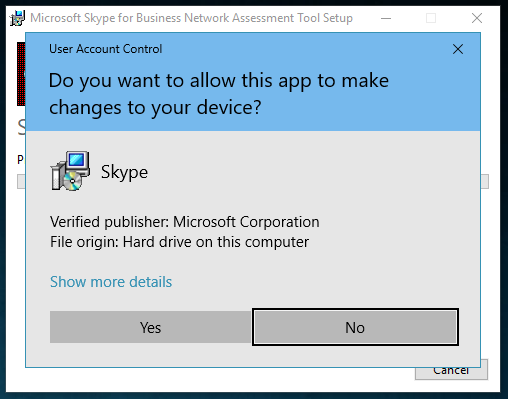 Default running the tool will forward you to Office365 (Skype for Businesss Online/Microsoft Teams). 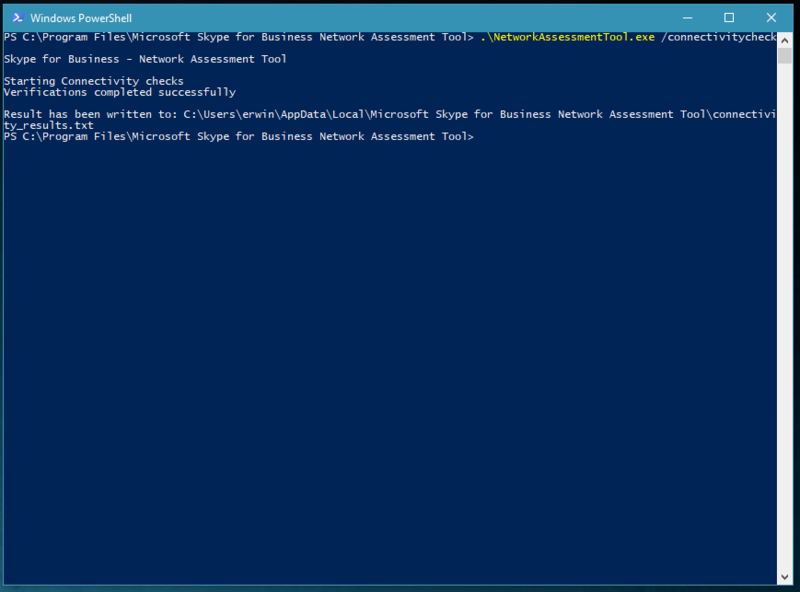 If you want to change the IP Address from the edge server you talking to you can open the “NetworkAssessmentTool.exe.config”. Line 27 will give you the oppurtunity to change the relay IP (If you want to talk to your own on-premises environtment this is your sip.domain.com IP address). You can also change the IP Addresses to for example Microsoft Teams, the IP Addresses you can find over here. When executing the script you can add "/verbose" to display all of the output from the script. 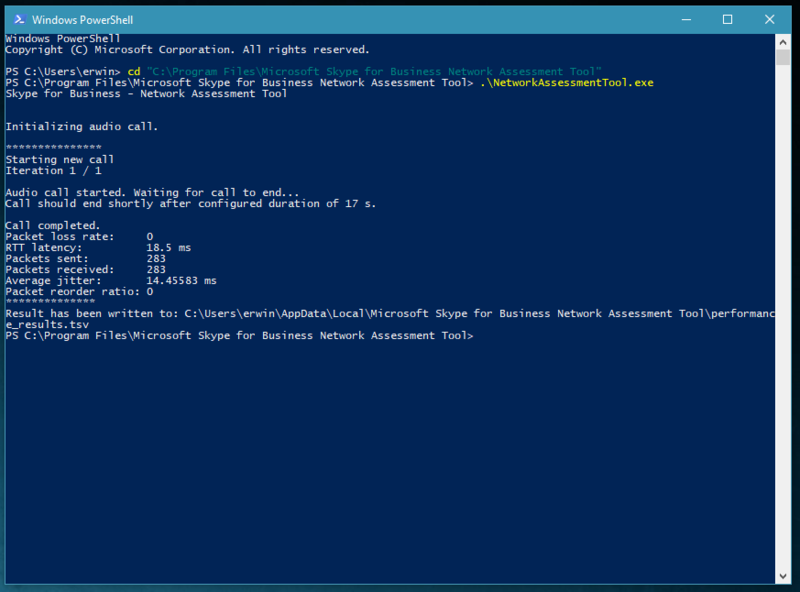 Run “NetworkAssessmentTool.exe” from the command prompt. The tool is setting up a call (default configured 17seconds) and will display the status of the call. 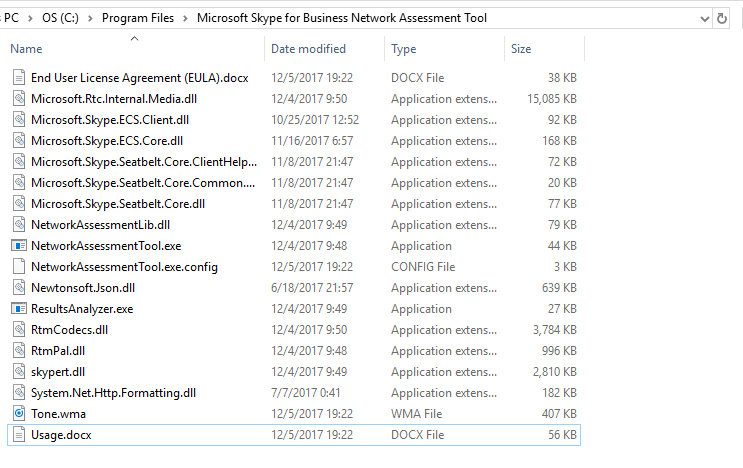 Run “NetworkAssessmentTool.exe /connectivitycheck” to test connectivity. To compare your values against the max values, you can check this blog article.